Stop by the CUESA Classroom for a cooking demo featuring the seasonal bounty of the Ferry Plaza Farmers Market. This demo will highlight a farmer-chef relationship forged and sustained at the farmers market, featuring Yerba Buena Tea Company. Jen Musty has been baking for as long as she can remember. After graduating from high school, she moved to the Bay Area, where she studied accounting, but she dreamed of opening her own bakery. In 2006, she started building a name for herself as a caterer, and in 2009, she opened a kiosk in downtown San Francisco to sell her cookies, scones, shortbreads, brownies, and cakes. Two years later she launched a brick-and-mortar kitchen and storefront on Polk Street, which in 2016 relocated to Nob Hill. Jen is driven by a love of sharing good old-fashioned American treats with a modern twist and an emphasis on premium ingredients and seasonal produce. Chad and Grace started Yerba Buena Tea Co. in 2013 based on their mutual passion for artisan teas and love of San Francisco. 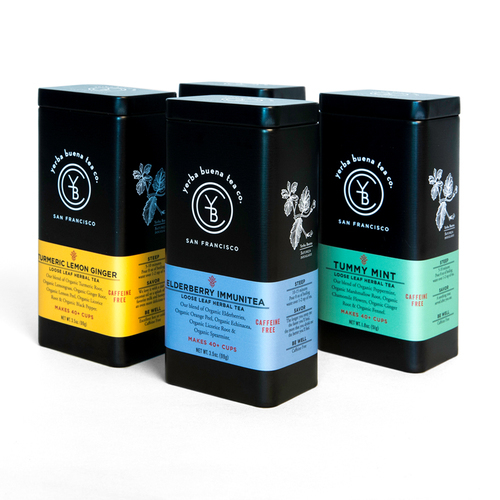 The couple hand-blends loose leaf organic teas based on their wellness philosophy promoting healthy living through whole, organic ingredients. Yerba Buena offers over 40 varieties of black, green, herbal, and red teas using unique herbs that are difficult to find in other tea companies without the use of flavorings. All demos take place in the CUESA Classroom (under the white tents in front of the Ferry Building) and are free to the public, with recipes and samples for all.